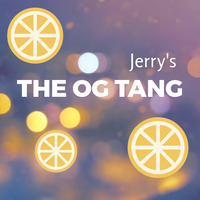 This is the OG Tang recipe, that I've gone over and over on Beginner Blending. From the start of the shake and vape, it's just straight powdered Tang thanks to the FE Mandarin. After three days the strawberry ripe and dragonfruit pull through to give it a bit of balance, resulting in a nicely balanced tangy ADV. The VBIC just rounds it off with the Marshmallow/meringue combo, giving a nice cream base, sweetness, and density. Overall, it's one of my favorite, and first recipe I ever thought was banging. I'll release it on this account on the off chance anyone still has FE Mandarin. Due to the discontinuing of FE Mandarin, however, I am in the process of making a V2, so the Tang may never die. This recipe is the property of Jerrysnaps and released under the CC Attribution-NonCommercial-Sharealike 4.0 license. You may not copy, derive or commercialize this recipe without following the terms of this license or the explicit permission of the creator. Tastes like a tropical creamsicle, Great job!